ATOK, Benguet- Filipinos don’t need to go to Japan to see cherry blossoms in full bloom as the first-ever cherry blossom park is set to open in Atok, Benguet. 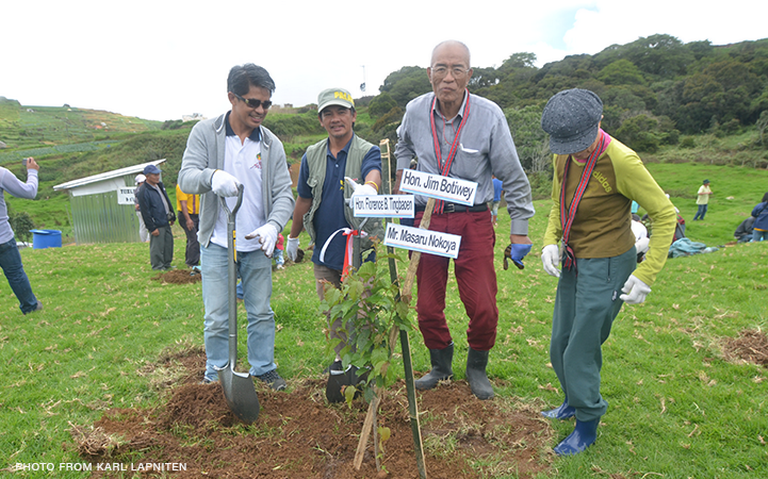 To celebrate the 40th anniversary of sisterhood ties between Benguet province and Kochi prefecture in Japan, officials of both places and from the Japanese embassy planted more than 30 cherry blossoms and other kinds of trees from Japan on Monday, June 5. Located 2,000 meters above sea level, the mountaintop park will be opened to campers. Cherry blossom or “sakura” in Japanese is known as one of the most beautiful flowers in the world. It blooms only once a year, during spring time in Japan, around March to May. The seedlings signify the budding relationship between Benguet province and Kochi Prefecture as well as the heroic Filipino and Japanese soldiers who passed away during World War II. In November 2015, more than 100 cherry blossoms were initially propagated. However, only a few survived because these were planted at the wrong season as explained by Japanese botanist Kiyuharu Yamamoto. 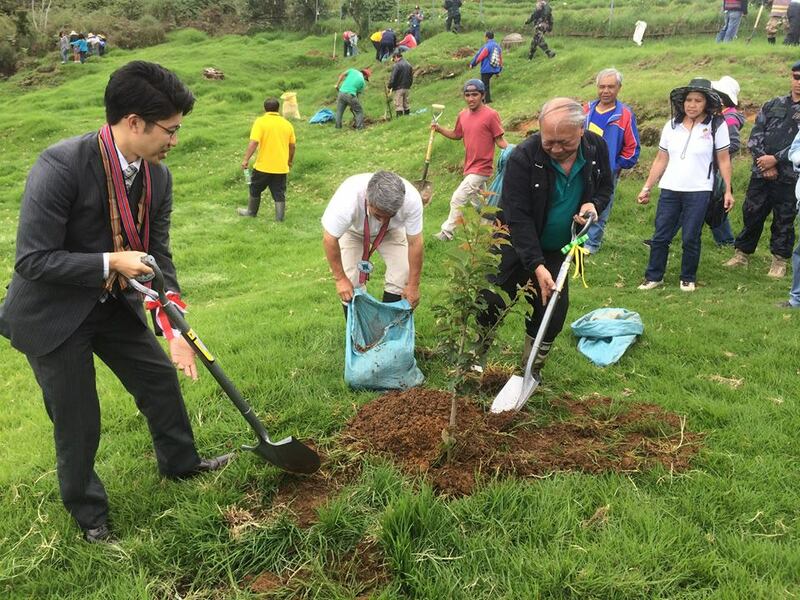 Initially, the team from Japan planned to plant the trees in Mt. Pulag, which has a more temperate climate. But since the mountain’s altitude is too high for the trees to survive, the team opted to plant the trees in Atok. Department of Tourism (DOT)-Cordillera director Marie Venus Tan said the cherry blossoms will help boost tourism in Benguet and will serve as an eye opener to locals who cut down trees to make space for vegetable farms. The cherry blossoms are expected to bloom after three years.